The sky is blue. Its sunny today. Its a sign that i should leave ya’an. After had breakfast with Haiyang, he said good bye and told me he gonna miss me. He told me when im gone, he will feel lonely. Gosh i will miss this boy too. Very good hearted person, very sincere, very helpful and ask nothing in return. for example, last nite he came to my room to help translate the map into english. i told him, uhhh…. i need water. then suddenly he ran away from my room, i was puzzled. where is this dude goin??? 2 mins later, he came back with a bottle of water. oh my… he went to a shop to buy me water. and it is sad to learn that he will feel lonely when im gone. i understand his feeling. as im a loner too, always feeling lonely my whole life. after saying good bye, suddenly he decided to ride with me 1/2 way. 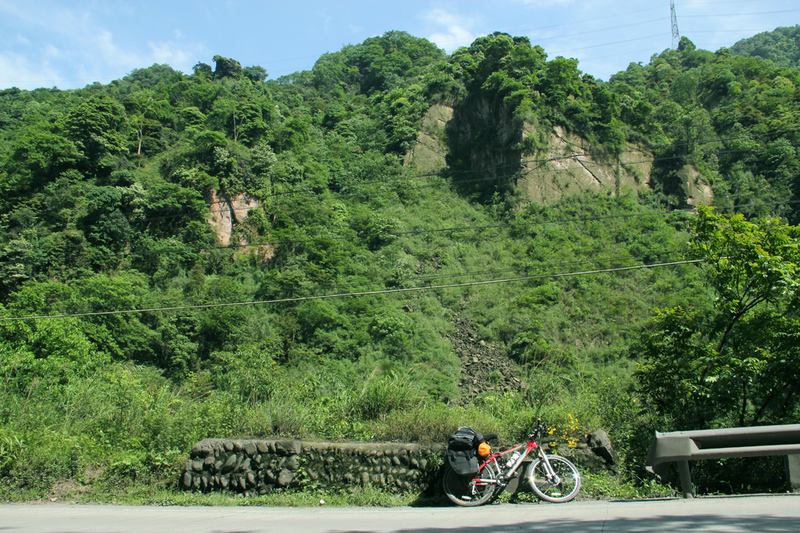 lol… i agreed and we rode together all the way to a place called Tianquan, some 35km away from Ya’an. after had lunch and a long talk, we finally said goodbye for real, and shake hands. 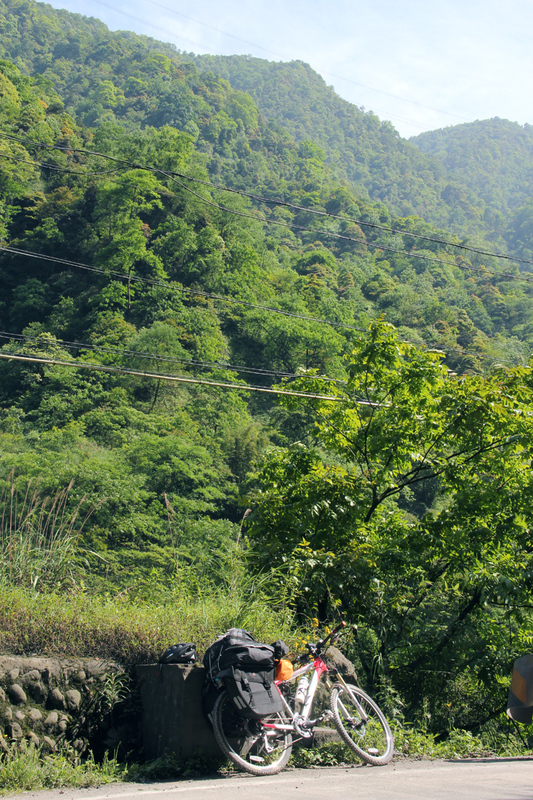 He took a bus back to Ya’an, and i continue to ride to Xin’gou, some 70km away. Today’s ride was really challenging. From Ya’an to Tianquan, its flat road, but very dusty, heavy traffic, construction everywhere!! 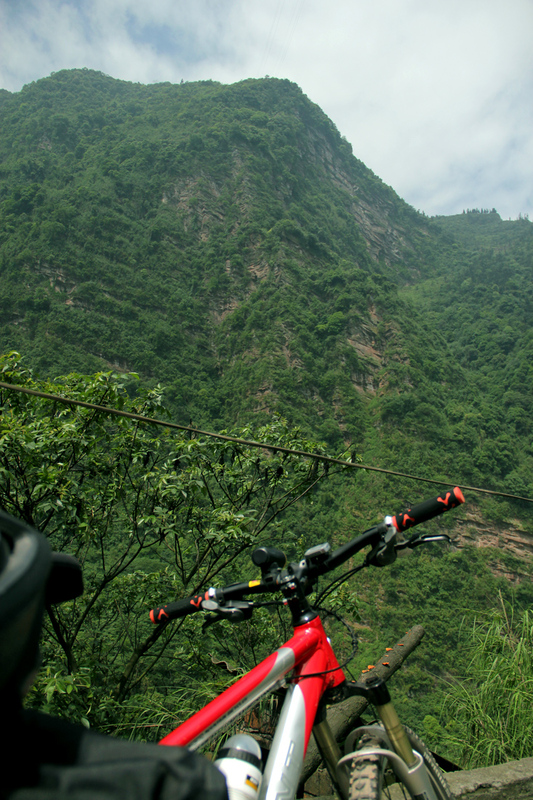 After Tianquan, less traffic, no pollution but…. 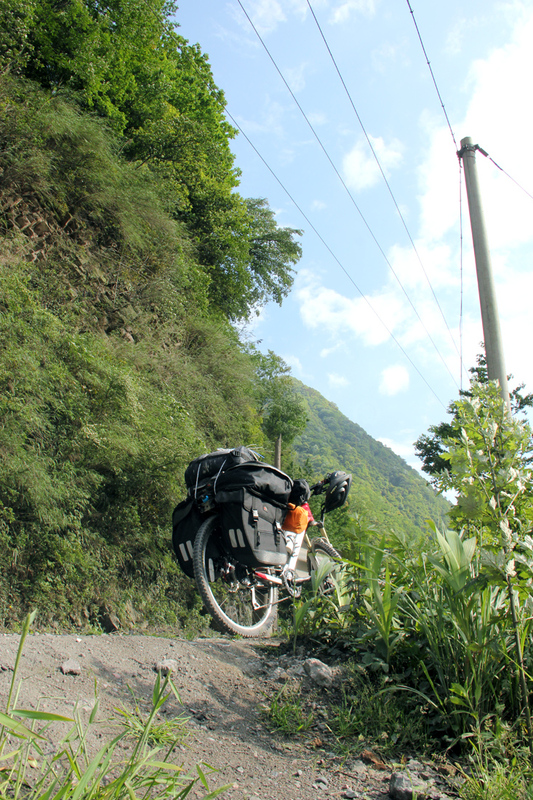 i started to ride along the mountains. 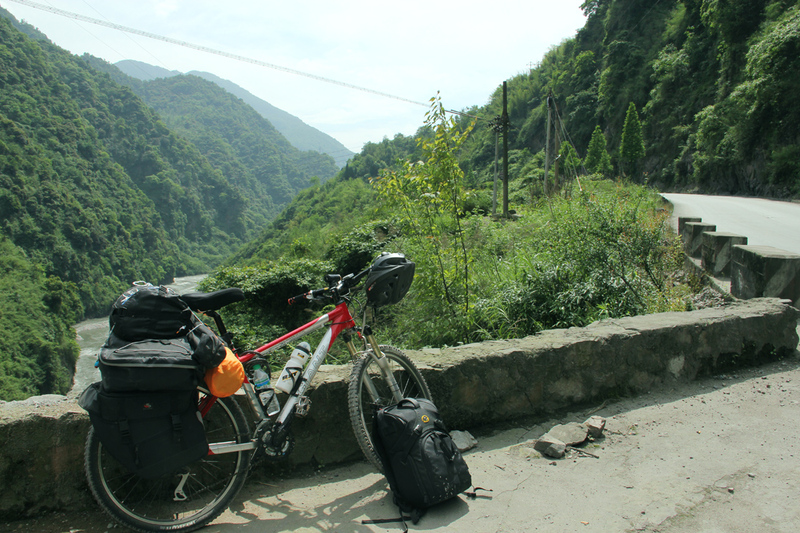 Imagine climbing 50km with fully loaded bicycle!! Riding up to fraser hills back in Malaysia is nothing compared to this. Took me over 5 hours to complete this 50km of climbing! i was riding very slow, 10km/hour! very very tiring, stopped every 20-30 mins. i didnt even bother to take photos, as i was tired and lazy. passed by so many beautiful views, but i only took some pics to share. hehe. Xin’gou is 70km away from Tianquan… and guess what… i didnt make it to Xin’gou today lol!! Reason why i wanna pedal to Xin’gou today is bcoz they have a lot of cheap guesthouses there. But it was almost dark, and i still had another 20km to climb! 20km is nothing if its a flat road, but i was climbing hills, 20km will take me at least another 2 1/2 hrs or maybe 3 hours to reach, as i already pedal almost the whole day, so im getting slower and slower. I then passed by a very old house, and asked the owner wether i can sleep in his house for a night or two. He agreed, maybe as i look tired. I then took a l0ng shower and guess what, they have a hot daughter. the daughter is so nice, so friendly to me even tho she doesnt speak english. She cooked dinner for me mmmmmm. Language barrier is the main problem but it doesnt stop us from chatting. Hmm maybe its a good thing i didnt make it to Xin’gou today? 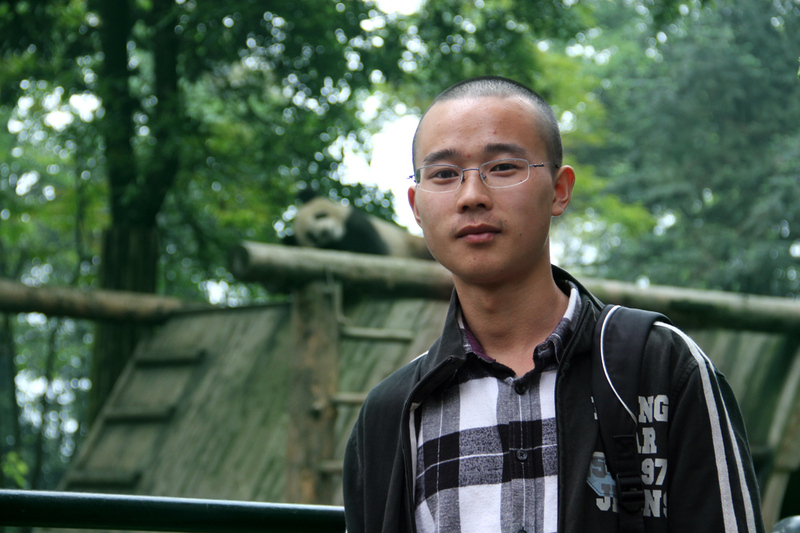 theheheheh…..
← Ya’an… Lair of The Pandas! bro, if the owner know what u wrote here, he will feel regret to offer u a stay in his house. A TIRING BUAYA DARAT!!! Hehe. ahahaha… u think?? when i lived with a farmer in indonesia a year ago… he likes me so much and asked me wether i wanna marry his daughter. lol!! Whrz the hot daughter pic?? cuz – sure i will! will do it once aku sampai mana2 town lagi.